Philip Veale Photography: Reflection in Pentwyn Reservoir. Open Edition. Reflection in Pentwyn Reservoir. Open Edition. 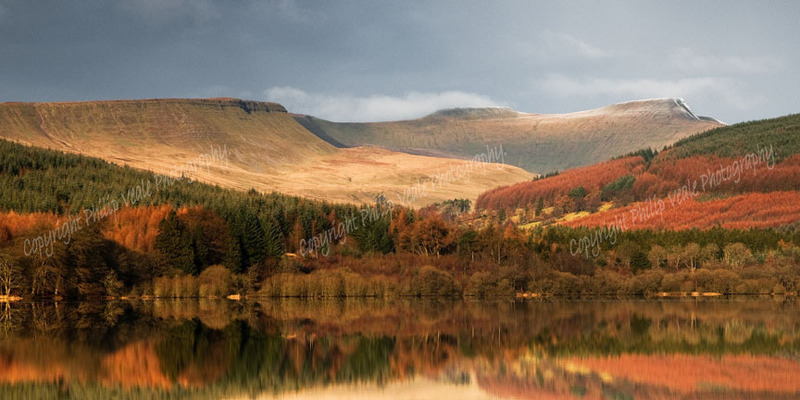 The reflection of woodland around Pentwyn Reservoir with Corn Du & Cribyn mountains part of the Brecon Beacons National Park in the background.